From Rod Carew's memoir Carew to the 25th anniversary edition of Bill Holm's The Music of Failure, our Spring Regional book sale truly has something for everyone. 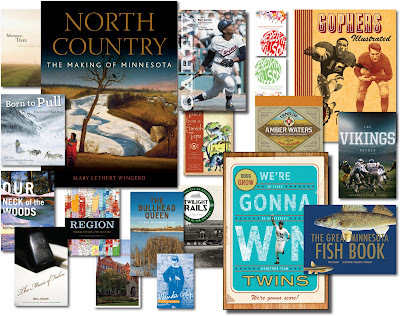 UMP is offering 30% off of 20 new titles with regional appeal -- order soon to ensure yours will arrive in time for Father's Day! Also included in the sale is Doug Hoverson's Land of Amber Waters, and we'd like to take the opportunity to point you to Hoverson's Let's Grab a Beer! flowchart, now appearing on The Heavy Table. No matter what your imbibing mood, there's sure to be a local brew out there for you.